Some cartons of almond milk are being recalled because they may contain real milk. 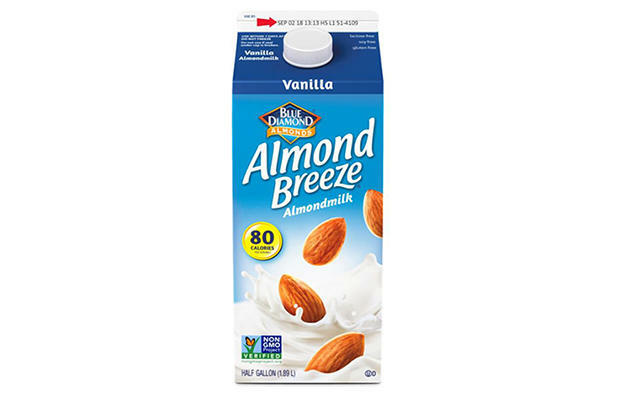 According to the U.S. Food and Drug Administration, HP Hood LLC is voluntarily recalling more than 145,000 half-gallon cartons of refrigerated Vanilla Almond Breeze almond milk. The product is safe to consume unless you have a milk allergy or sensitivity, the FDA says. People who have a milk allergy or sensitivity are advised not to drink the recalled almond milk, as it could cause a serious or life-threatening allergic reaction. So far, the FDA has received a report of one allergic reaction in connection with the recalled almond milk. Medical treatment was not required. The recalled products were shipped to retailers and wholesalers in 28 states across the country. A representative from the company told CBS News that the plant where the almond milk was manufactured also manufactures dairy milk. "Although the almond milk is processed on a separate line and filler and we confirmed that the allergen control protocol all standard validation testing was conducted in accordance with our allergen control program, this particular batch of almond milk was contaminated with one container of milk through an employee error," the representative said in an email. "Hood made the decision to recall all of the product from this batch as a precaution." The company said that a change has since been made to the production process to prevent the error from happening again. The Universal Product Code (UPC barcode) of 41570 05621 is also located on the side panel of the carton next to the nutrition facts. Consumers who purchased the product may return it to the store where they bought it for a full refund or exchange, or visit http://www.bluediamond.com to complete a form online.